How about something a little lighter today, like this egg in a hole avocado toast? 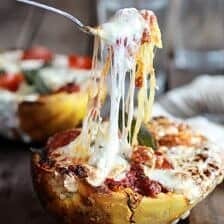 I figured with all the BBQ’s and long weekends eats, we all might be in need for something on the healthier, lighter side. Plus, now that summer has arrived (I guess not officially, but you all know what I mean) it’s most definitely avocado toast season! I remember reading somewhere that avocado toast was old news, but I dunno, I don’t think I can ever tire of a good piece of avocado toast. I mean, it’s pretty unbeatable. Good bread, avocado, lemon, and sea salt. Honestly on of my favorites. 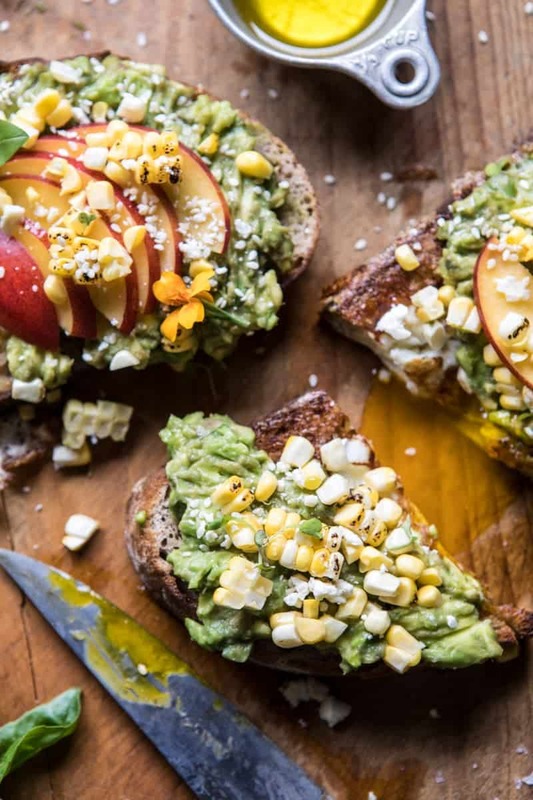 Today though, I am elevating the classic avocado toast just a bit with a fun twist for summer…aka avocado toast with corn and sweet nectarines! Before we go on to the details though, how was everyone’s long weekend? I have to say, it was SO nice having an extra day off of email and day-to-day tasks. The weekends are kind of my time to catch up on things. It’s amazing how much you can get done when emails aren’t flooding in. Saturday was pretty cold and snowy, yesss snowy. Going to be honest, I hated every minute of it, so instead of just planting myself on the couch and being depressed, I decided I’d make use of the overcast skies and get some recipes shot since I’m currently WAY behind. That ended up being the right move because Saturday night was spent eating the pizzas I made and serving up wine to my cousin’s girlfriend, Caroline, and her sister Christine, who happened to be in town for a Red Rocks show on Sunday. When the weather turned ugly they decided to come up earlier than planned and hang out. It was the perfect low-key pizza and wine filled Saturday night. Sunday was gorgeous and totally felt like the start of summer, which made me so freaking happy. Sunshine is like my happy medicine. I love it so much. I spent some time outside, hopped on a dirt bike with my brother Red, and went for a ride around the neighborhood. Only Red could get me to do this, but I gotta admit, it totally brought me back to being a kid and I loved it. Then I took Asher for a short bike ride. Later we finished the night off by making chocolate chip cookies. It was the perfect day. Memorial Day was a mostly beautiful day. I went for my early morning hike, spent a little time outdoors, and did a little more catching up. Today I am feeling refreshed and ready for the shorter week ahead! What were you guys up to all weekend long? Sooo, let’s talk toast! It’s no secret I’m a huge fan of all thing on toast. 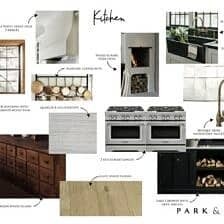 In the Half Baked Harvest cookbook I have a whole two page spread on all things toast, and yes, these are two of my favorite pages of the book. I am just slightly obsessed. 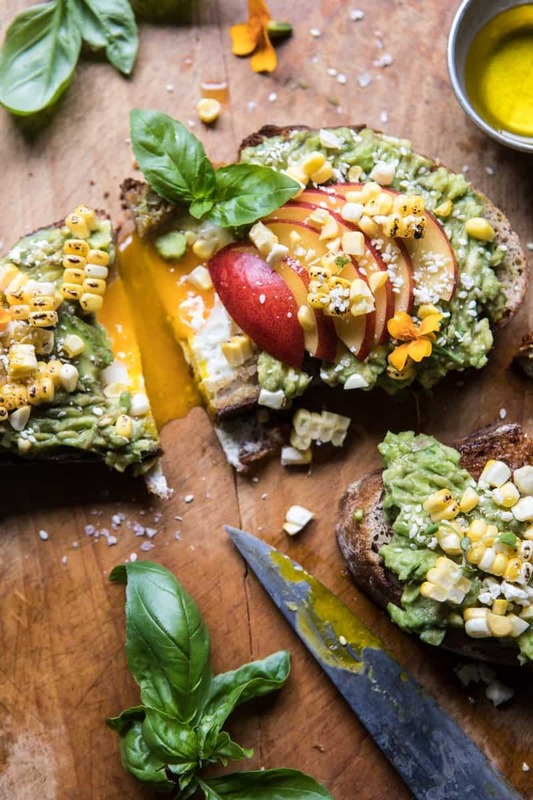 Oddly, I have never shared a simple avocado toast recipe on the blog before, so I thought it might be fun to share my favorite summer version. Fun Fact: this recipe was supposed to be in the cookbook, but we ended up having to cut it to save space. 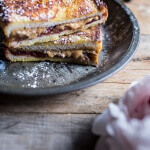 I was SO bummed because I love this recipe, but in the end I just had too much toast. <–is there really such a thing? Apparently. Like most avocado toast recipes, this is simple, BUT it’s kind of special too. 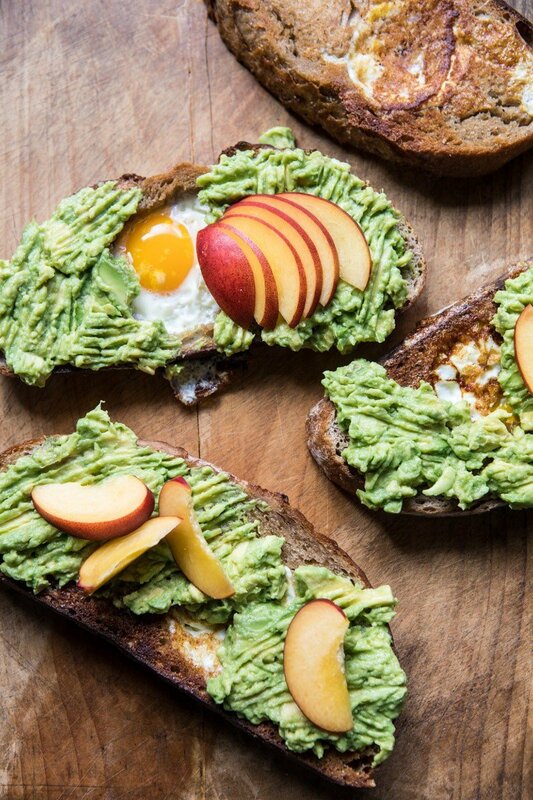 Unlike most avocado toast recipes, this one has an egg in the middle. Have you guys ever heard of an “egg in a hole”? It’s toast with a circle cut out from the center and a cooked inside. It can also be known as, toad in the hole, or egg in a basket. Either way, it’s one of my favorite ways to do toast and eggs. But then I got to thinking. 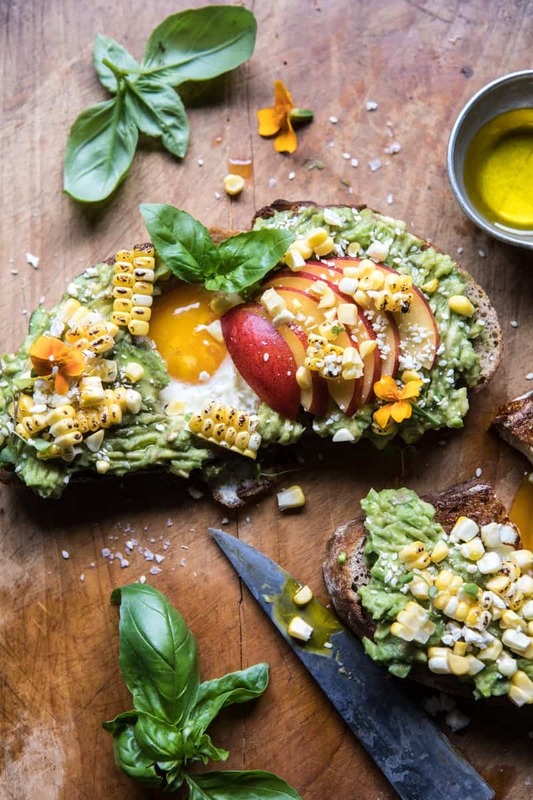 Why not make it an avocado egg in a hole? I mean, the only thing that could make toast + fried eggs better is avocado, so this just seemed like the most “ahh, yessss” idea ever. I’ve been making this for over a year now and since summer is finally here…ish, it’s time to share it. Here’s how this toast goes. …find some really good, crusty bread. …cut a circle out of the center of the bread (save the bread). 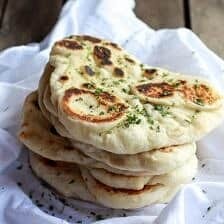 …heat some butter or oil in a pan and add your toast + the rounds of bread your removed (you can’t waste those…they’re perfect for dipping). …add an egg to the center of the toast and fry it up. …smear on some avocado with lemon. ….top with charred corn and sweet nectarines. …finish with feta, basil, and flaky sea salt. Quick, simple, fresh, healthy and honestly one of my favorite anytime meals. I can eat this for breakfast, lunch, as a heavy snack, or a light dinner. It’s great any time of the day. If you’re thinking the nectarines are an odd addition…maybe, but I promise they are so delicious with the sweet corn, savory avocado, and salty feta. Trust me, once you make this it’s going to become your new go-to avocado toast for the summer. It’s so good. 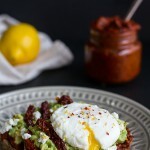 This take on avo toast is quick, easy and most importantly tasty! 1. Using a 2-inch cookie cutter, cut 1 round circle out of each piece of bread. 2. Heat a large skillet over medium heat and add the olive oil. When the oil shimmers, add both the bread and the centers and cook 2-3 minutes or until the toast is golden. 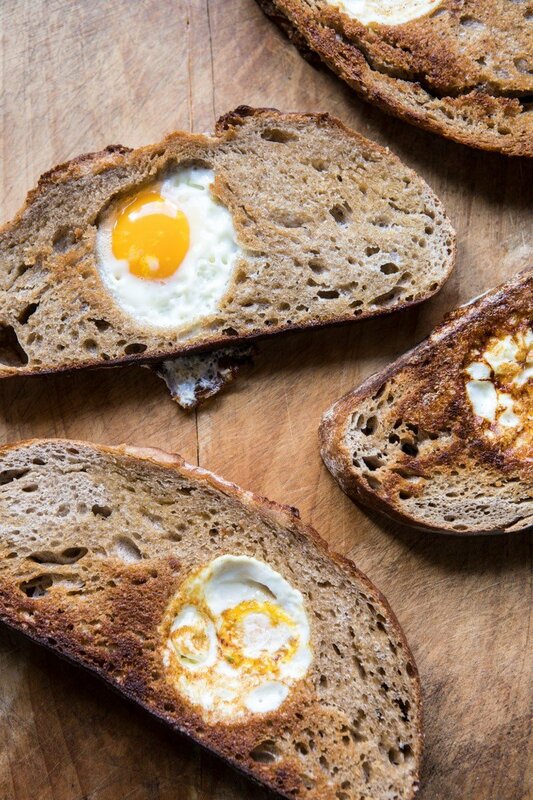 Flip the toast and crack an egg into the center hole of each piece of bread. Season with salt and pepper. Cook 2-3 minutes and then flip once more and cook 30 seconds to one minutes or until the egg is cooked to your liking. Remove from the skillet. 3. In a small bowl, mash together the avocado and lemon juice. Season with salt. Spread the avocado evenly over each piece of toast. Top with nectarines, corn, feta, and basil. Drizzle with olive oil and sprinkle with salt. EAT. PS. that runny yolk egg situation…it’s my favorite. How do you like your yolks? So happy you like it Debs! So hoping it gets hot soon!! Hi Tieghan, I’m glad that you had a lovely and productive weekend! I love that you add avocado in most of your recipes, I’m an avocado addicted, and I cannot get enough of it. We can trade weather, here in Miami was a record high of 98 degrees, and I spent the whole weekend inside the house. Have a fun week! Hi Carlos!! Thanks so much! Avocados are the best!! That sounds amazing, I wish we could trade!! Hope this means you like it with avocado if not you could leave it out Ruth! Can I order a couple of these toasts? 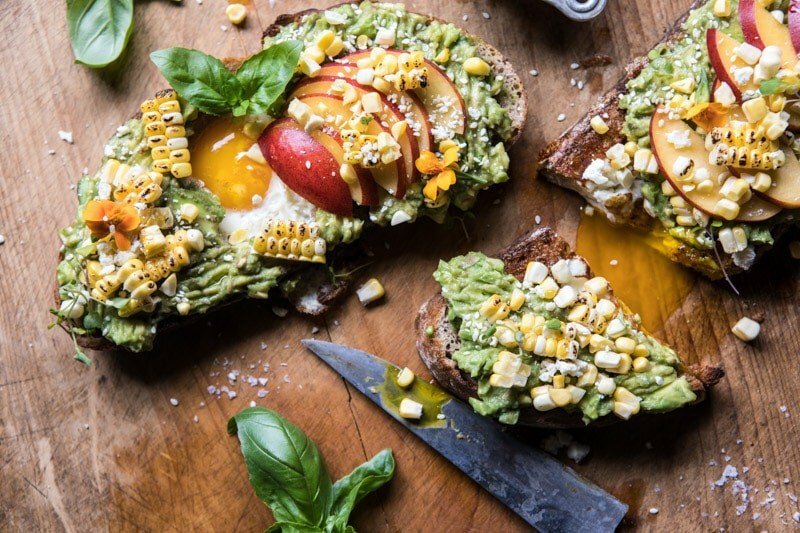 🙂 Love avocado toast and to me these ones look perfect! I too can eat them anytime! Yes yes! Coming right up!! Haha, thanks Julia! I’m sure it was amazing, but thank you so much Elinor! So happy you like it Kate, thank you! Hope you love it, thanks Kim! Ah yes!! Love the flavors from the corn and nectarine! Hope you get to make it Heather, thanks! 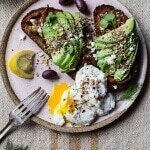 Sounds so delicious, I’ve never thought of adding avo to my egg-hole toast when I make it! Thank you Phyllis, so happy I could give you the idea!! Holy moly Tieghan! I’m drooling over this one! All my favorite things! Haha, yes!! So happy your into it Mary Ann! 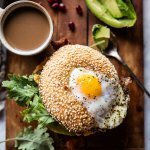 Your recipes are always so creative and your photos are total goalzzzzz. 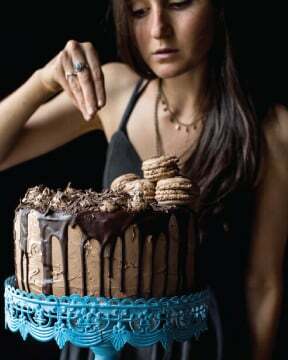 I’m picking up some bread and avocados at Costco so I can make this at home! The first time I made avacado toast my husband just looked at me. Now I add our oven roasted tomatoes (that I roast in the summer and freeze) and maple smoked bacon to it. 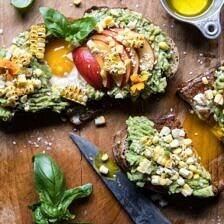 He will love your version of avacado toast, next weekends breakfast! Haha that is so awesome! I hope you both enjoy this version Kimberly!! Thank you! 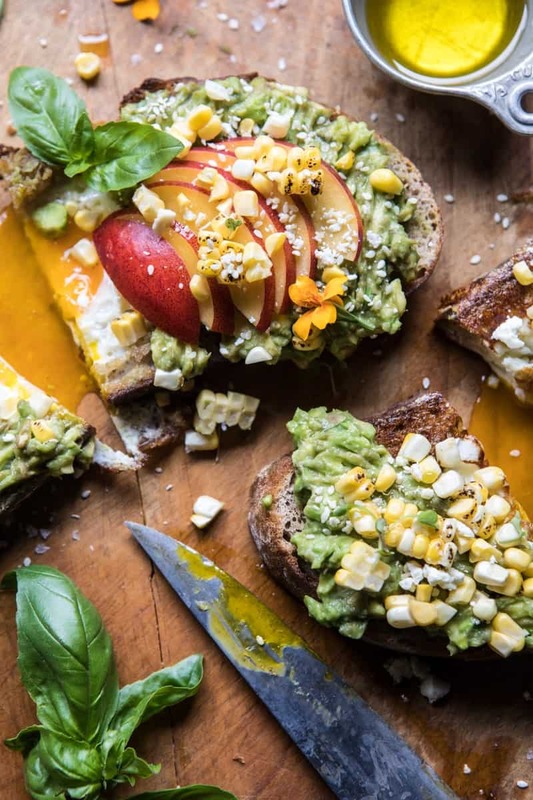 So pretty, this is the perfect summery toast! Grilled corn is the best, and I love the nectarine too! I am so glad you’re loving it Laura! Thank you!! 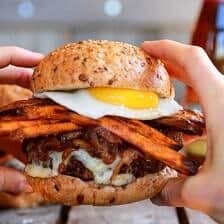 Being a teen of the 70’s, I thought of a silly disco song, ‘More More More’ when I saw the pics and read the recipe – cuz seriously that is what we all want is more, more, more of that fantastic combo with gooey yolky goodness. Ingredients, check. Flavor combo, check and double check. 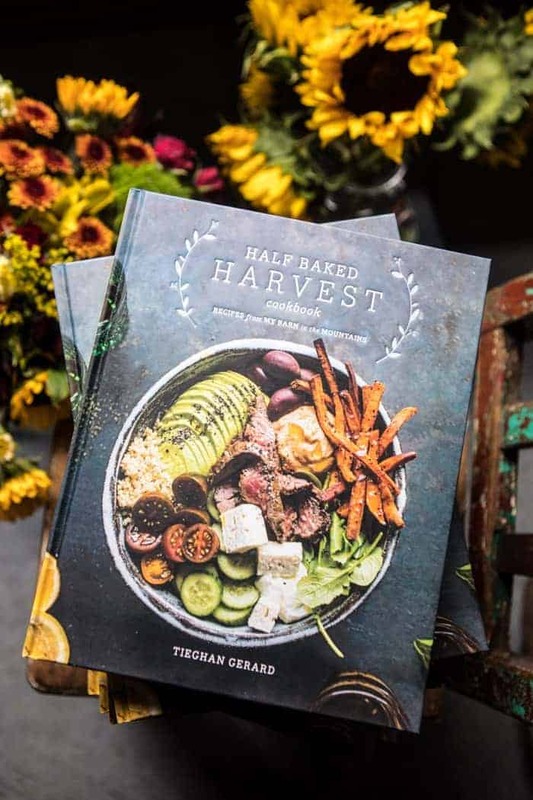 The overall colors and healthy ingredients…swoon-worthy! How did you keep this one in the vault for so long?! Glad it is out there for us to indulge…oh and my Momma used to make eggs in a hole when I was a wee one. It made eggs so much more awesome cooked inside the toast – thanks for adding your super special touches, as always! Awh that is so awesome your mom used to make your eggs similar to this & I am so thrilled you are loving all the flavor combos! Thank you Tammy!! 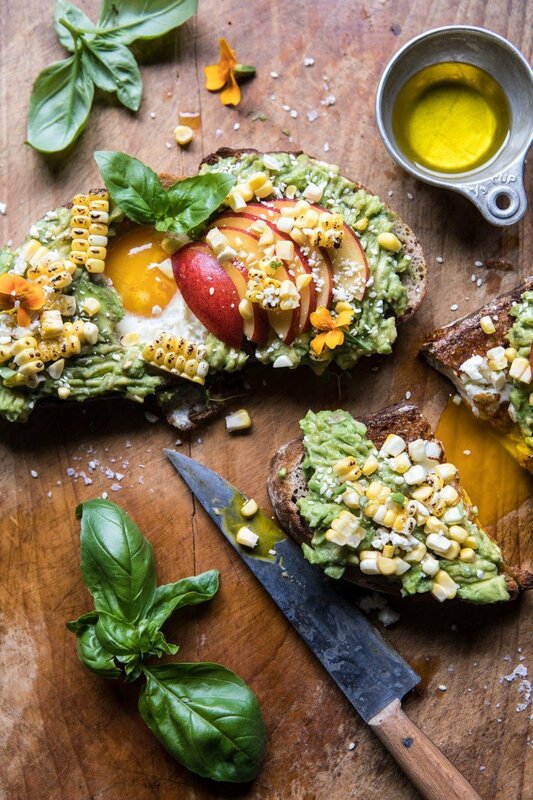 Loving all of the summer flavors of this avo toast, Tieghan! And the addition of an egg is brilliant! Thank you Kelly! So glad you like this toast! I made this for some friends for brunch this weekend, and it was delicious. I used Trader Joe’s frozen roasted corn since it’s not in season (and to save time – let’s be honest), but my grocery store had perfect nectarines. Definitely a new favorite and can’t wait to try a variation with strawberries. If anyone has “it-must-have-meat-of-some-kind” eaters, some crispy prosciutto would be nice here – just skip the extra flurry of salt and maybe scale back the feta a hair. I am so glad you and your friends enjoyed this, Katie! Thank you so much!